So, then. This week's magical weekly round up overlaps slightly with the previous week's - I watched my Life As A Dog after I posted the previous post, but I've posted it along with the rest of reviews from this week. And why not? Well, with that fascinating and insightful preamble out of the way, it's on to the reviews. Excited? I certainly am. I was looking for something a little sweet to finish off my long break from work, and this film definitely delivered the goods. To be fair, I had seen it before, a little over a year ago, but even second time around, MLAAD was as poignant, quirky and funny as the first time I saw it. The movie tells the story of a young Swedish boy named Ingemar who is sent to live with relatives in a remote village after his sick mother takes a turn for the worse. On arriving in his new home, he meets a wide range of colourful and unusual characters, including his uncle, whose obsession with the Swedish version of 'I've Got a Lovely Bunch of Coconuts" is driving his wife to distraction. He also befriends the local tomboy and engages in a series of romantically charged boxing bouts with her (despite the fact they only have two gloves between them). I suppose it may all sound a little bit sickly and sentimental, but Lasse Hallstrom shows a deft touch in directing this picture, and balances the quirky humour with some real sadness, as Ingemar suffers a couple of devastating setbacks. Hallstrom has made a couple of good movies since (What's Eating Gilbert Grape and The Cider House Rules), but for my money this is his best one. From a movie that really held up well on second viewing to one which did not hold up so well. 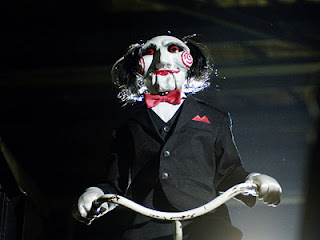 I first saw Saw (as it were) in a packed cinema with a few friends, and I guess it must have been the atmosphere of several hundred people jumping out of there seats, but Saw really seemed scary first time round. This time, I watched it alone at home, and the effect was definitely not the same. There are one or two decent scares - a scene in which Leigh Whannell's character stumbles around his house lit only by the flashbulb from his camera springs to mins - but the shaky American accents, hammy acting (in particular Mr Cary Elwes, who delivers a truly awful perfomance) and numerous plotholes drop the film down a grade or two. On the other hand, there are a number of elements which work well in Saw - the killer's motive was original and interesting, the various murderous contraptions seemed like a fresh and inventive idea at the time (the effect has been dampened by the innumerable sequels) and the puppet is still very creepy (though the filmakers possibly owe a debt to a similar scene from Profondo Rosso). In which Kenneth Branagh tries his hand at a blockbuster, with mixed results. This was the only new film I saw this week, which is a little disappointing (curse you Lovefilm, you said you were going to send me Caddyhack on Wednesday. It still hasn't arrived!) and I wasn't overally impressed with this one - I wouldn't say that it was a waste of time watching it, but it was never really anything more than passable entertainment. I felt that the parts of the movie which were set in Valhalla or Asgard really dragged - the cod-Shakespearian dialogue felt really clunky, the CGI sets looked fake and I just didn't care that much about Norse gods fighting an intergalactic battle against Ice giants. 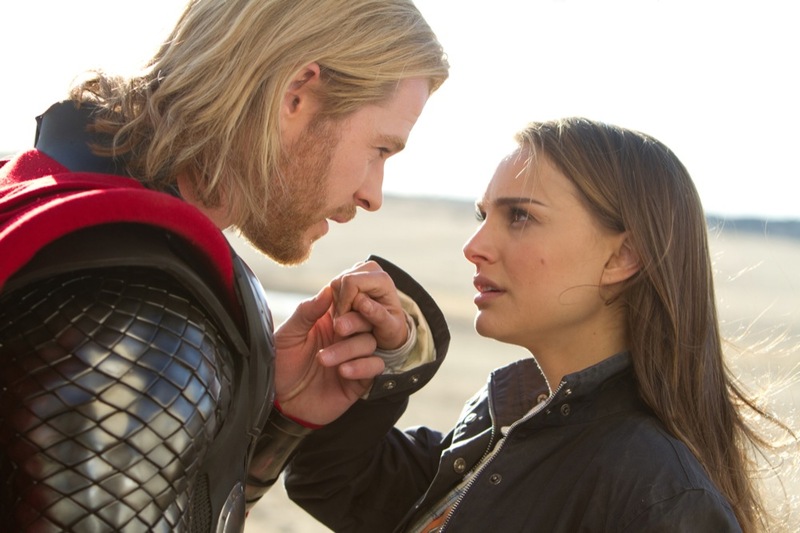 On the other hand, I enjoyed the middle section of the film, which featured Chris Hemworth's Thor trying to adapt to life in a small New Mexico town and forming a relationship with Natalie Portman's astrophysicist. That section featured some very amusing lines, and also the best battle sequence, in which Thor and his cohorts take on an fire breathing robot, piloted by his duplicitous brother Loki. 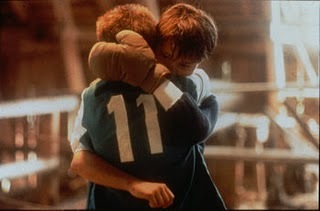 Overall, then, decent enough summer fun, but probably not a movie I'll be revisiting again.